The last two days we traveled 486 miles. 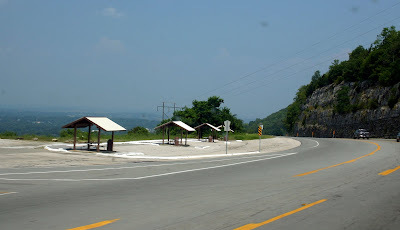 The stretch from Little Rock to Springfield took us thru the Ozark area of Arkansas. Since we left Ft. Lauderdale: days: 5 miles : 1,356 gas: $676 (avg. 2.77/gal) site fees: $88.5 Watch the video of the last two days. Traveling to Memphis, then across the Mississippi River into Arkansas and over to Little Rock was all typical Interstate. 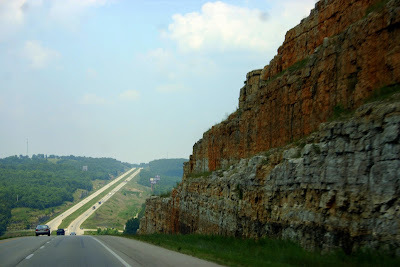 Then going north to Missouri was pretty, rolling hills rock walls. I'd like to come back and spend a month or two in this area. 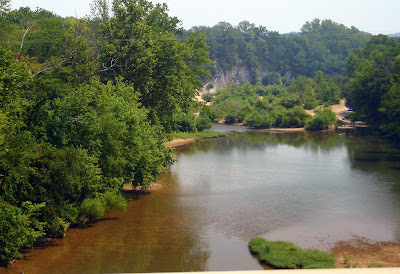 There's a river going thru it called the Buffalo River that looks like a nice paddle. We saw lots of canoe and kayak outfitters along the road. 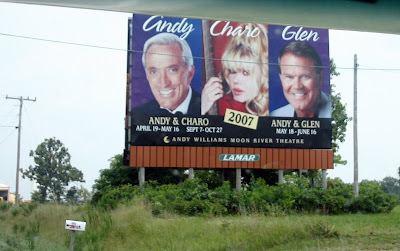 Just past the Missouri border is the tourist town of Branson. The billboards make it look a little like a small Las Vegas, but we learned that there is no gambling and no alcohol served anywhere. Nope, not like Vegas at all! The open road is my favorite 'show'. 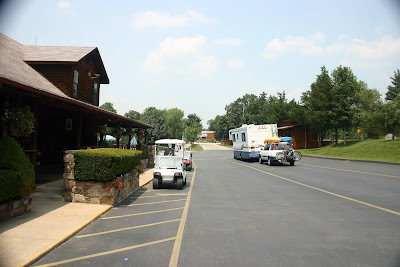 We wanted to stop in Branson to check out the 'America's Best Campground' RV park. 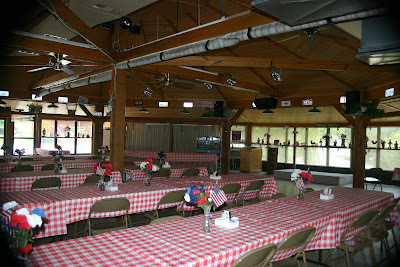 This is where we will be doing our 'Camp Reboot' 2-day hands-on seminar as a part of RV-Dreams 2008 rally. It looks like a great place! This is the meeting room. I hope you get a chance to stop at the "Bass Pro Shop" while you're in Springfield. Even if you don't fish it's great place to stop. They have a fish tank with the biggest catfish in it that I've ever seen. You can even get a hair cut and lunch inside the place. It's a site to see.